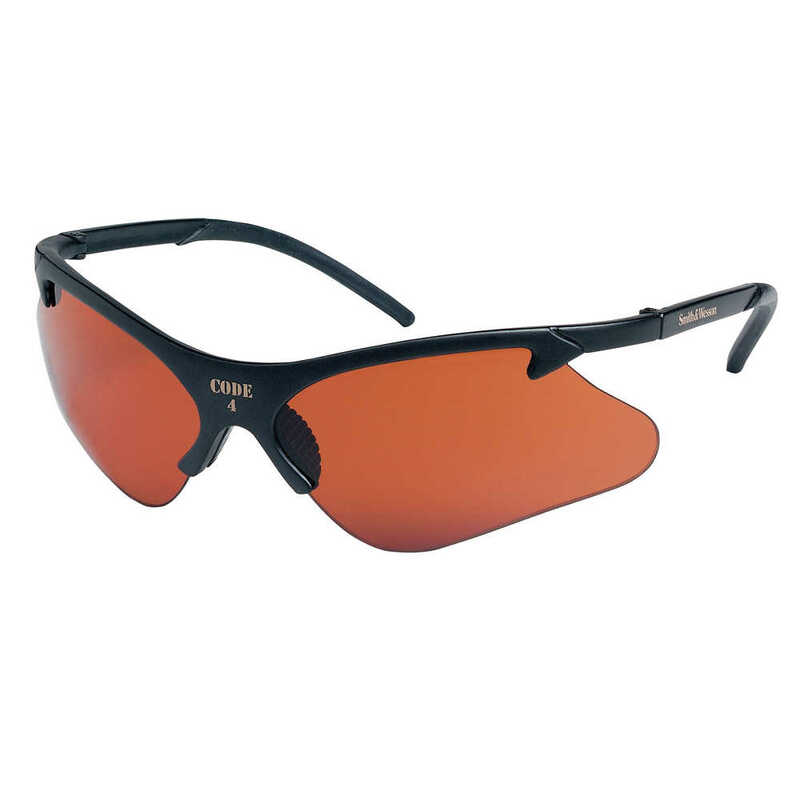 Smith & Wesson Code 4 Safety Glasses are a smart way to provide all-day comfort and protection, for both work and play. The stylish, minimal black frames hold copper blue shield lenses (filters out blue light for enhanced contrast) with a 7 base curve. The ribbed nose cushion helps keep the glasses from slipping and the contoured temple tips give the wearer a precise fit. The hinge stop helps prevent lens damage, so the protective glasses are really built to last. These glasses provide 99.9% UVA / UVB / UVC protection and meet ANSI Z87.1+ standards for high impact. No matter where you’re using them – at work or at home – Smith & Wesson Code 4 Safety Glasses deliver the comfort and protection you need.